Do I Have a Case? Why Personal Injury Lawyer Won't Take Your Case. Victims of car accidents and other types of personal injury often want to seek justice in court against those who hurt them. This impulse is perfectly understandable, but it can be incredibly frustrating for some people who cannot seem to find good legal representation. 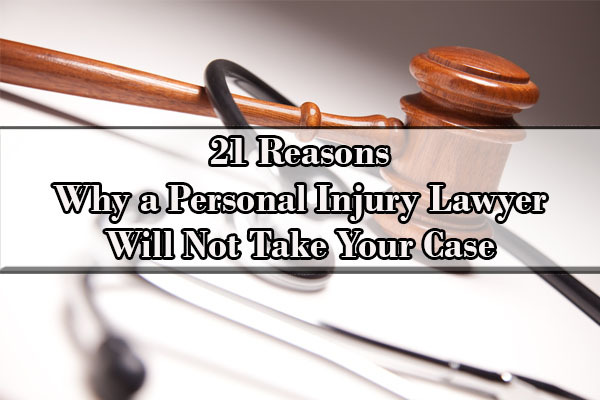 There are many reasons why a personal injury lawyer would not take a case, but you can avoid some of them easily. With the right knowledge and planning, you can find experienced attorneys to help represent you, not just lawyers that will take any case. Most people personally know at least one lawyer, whether the lawyer is an old childhood friend or someone that you met socially. But do not be surprised when Bob from the 39th Street bar or Amy from 10th grade geometry class won’t be able to help you. All lawyers have unique specializations, and during your search for the right attorney, you need to make sure that you find an attorney who practices in the correct area of law. Even within the category of personal injury attorneys, there are many different sub-specializations including car accident attorneys, medical malpractice, and products liability. We even know an attorney who specializes in bicycle accident claims. If an attorney refused to take your case, it may not be because you don’t have a case. It may be either because the attorney you spoke to did not feel comfortable taking your case or the attorney did not have enough legal knowledge in that area to realize that you have a case. This is a good thing. While there are lawyers that will take any case, you really want to find a good attorney who specializes in your area rather than a mediocre one who simply takes any client that walks in the door. When you ask an attorney “Do I have a case?” you need to realize that from the attorney’s point of view, this is a loaded question. Yes, the guy who was involved in a fender bender in a parking lot at three miles per hour has a case against the other driver who was looking at her cell phone, but if the only available damages are paint scratches on the vehicle, the case is not economical for an attorney to undertake. Most law firms do not offer free legal advice and expect to be paid for their services, and if your case will not result in a high enough dollar value intake, you may begin hearing “no’s” from attorneys who earn a living off of contingency fee agreements. The United States legal system is adversarial in nature. In other words, before you can file a lawsuit, you need to figure out who you are going to sue. Many people mistakenly assume that there is always someone legally liable for their accidents and personal injuries. Certainly, liability is broader than some believe, but there is not always a responsible party who can be sued. Unless someone owed you a legal duty of care that they then breached, you do not have a case. Sometimes, accidents are just accidents and they are not the fault of anyone. 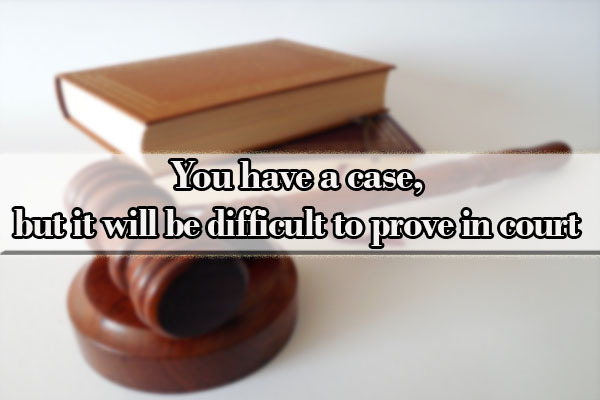 Lawyers are also hesitant to take a case if they believe they cannot prove fault. Many people mistakenly assume that there is always someone legally liable for their accidents and personal injuries. Do lawyers take cases they can’t win? Usually not. Generally, law firms only take on cases that they think they can prove. This is true for two reasons. First, law firms put a lot of time and money into taking cases to court, and they are often not willing to waste time and money on an issue they do not think they can win. Second, law firms are often concerned about their reputations and do not want to become known as desperate lawyers who will take any case that comes through the door. Most attorneys will be honest with you and either explain that they are unsure if enough evidence exists to support your story or they might admit to turning you away for some other reason. One very common reason that a law firm will not take a case is due to a conflict of interest. A conflict of interest exists where a law firm’s interests are adverse to the client’s interests. This occurs most commonly if the law firm has previously represented the person you are trying to sue. The existence of a conflict of interest creates both a legal and ethical duty that forces the law firm to turn the case away. If a law firm has a conflict of interest and won’t take your case, that does not reflect badly on you or your case. If anything, it means that you should continue shopping your case around to other law firms who might not have those same conflicts. Always seek medical care after an accident even if your injuries are minor. In a typical personal injury case, your medical records and medical bills will be the best proof that you were badly injured. Without that type of hard evidence, however, bringing a winning claim can be difficult. Any time you consult with an attorney, make sure to bring any medical records you have with you to the consultation. If for some reason, you cannot find your medical records, let the attorney know and then ask for his or her help in tracking those records down. If your injury is recent, it may not be too late to seek medical help and develop a thorough record of your injuries. Always seek medical care after an accident even if your injuries are minor. 7. Your case is a bad fit for the law firm. Assuming you have a good claim with evidence, and the attorney practices in a field relevant to your injury and there are no conflicts of interest, why might an attorney still refuse to take your case? The most common answer is that your case is either too big or too small for the law firm you are consulting with. As a general rule, big firms take only big cases and many small firms lack the capital to fight big battles. While small firms generally are more likely to take big cases than big firms are to take small cases, you may be told to search elsewhere. Were you injured on city-owned property (such as twisting your leg falling down the courthouse steps) or by a city-owned vehicle (such as being rear ended by the city bus)? If so, your lawsuit is against a government, not against an insurance company or a private citizen. That means you’re in a whole different ball game with different rules. When you sue a government such as a city, special rules apply to your lawsuit and you need to make sure you play by those rules. The most important of those rules in New York City is the notice requirement, which means that you must tell the government that you plan to sue them within a certain amount of time. Failure to play by those special rules could result in losing your claim under the doctrine of sovereign immunity. 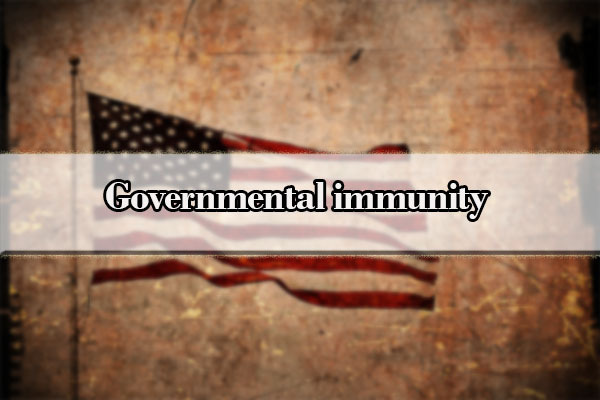 Sovereign immunity says that you cannot sue the government unless they agree to be sued and you bring the lawsuit playing by their unique rules. If you have a possible legal claim against a governmental entity, you need to begin searching for an attorney as soon as possible. If you waited too long, however, you could have lost your case. While fear and emotional distress can factor into a damages award, few cases without real, observable injuries make it very far. This is particularly true in cases where an accident was narrowly averted or where an accident occurred but the worst possible injuries were avoided. If you are mostly uninjured or your injuries seem speculative, most attorneys will pass on the case. Attorneys may not decide to take a case if they are concerned about the impact of the case on their image. For example, the country was shocked when MGM decided to sue the victims of the Las Vegas shooting, permanently damaging the reputations of MGMs lawyers. Certain issues may also be particularly toxic to a law firm’s reputation and can scare away many lawyers. Personal injury attorneys make most of their money by suing people represented by insurance companies. Insurance companies cover the cost of their clients causing injuries so that the clients do not have to. A common pattern among the uninsured, however, is that they are uninsured because they cannot afford insurance. Often, the uninsured are “judgment proof” because while you may be able to win a court judgment against them, it may be difficult to collect any money from individuals of limited means. This is especially true for people who declare bankruptcy post judgment award. Legally, there is a lot that you can do to ruin your case before you ever file a lawsuit. Immediately after an accident, if you admit you were at fault, you no longer have a claim. If you fail to go to the doctor, you have no way to prove damages and you no longer have a claim. If you fail to follow your doctor’s’ orders, you make your injury worse making it impossible to tell what injuries were caused by the accident. If you post pictures of yourself on social media looking healthy with friends and family even if it’s not true, you no longer have a claim. The best thing you can do to protect you and your chance for financial compensation is to hire a lawyer as soon as possible and follow any advice you are given. It is important to speak with multiple attorneys so that you know how much your case is worth and which attorney may be the best fit for your case. That said, many attorneys are turned off by obvious attempts at “attorney shopping.” It’s not a great idea to try and engage two (or more) attorneys in a bidding war for lower fees because you will either end up without a lawyer or with the worst lawyer of the bunch. In the personal injury context, a pre-existing medical condition is any injury that occurs in the same area of the body as an injury that existed before the accident. Where a present injury overlaps with a pre-existing injury, it can increase the costs of proving the case and potentially confuse the jury. Because the burden of proof always rests with the Plaintiff, it is sometimes very difficult to prove that an accident aggravated a pre-existing injury as opposed to the pre-existing injury becoming worse on its own. These increased costs and reduced chances of viability make it less likely that an attorney will take your claim. Attorneys like to win cases, not lose them, and to win a case, they will need evidence to prove that your story is correct. Many attorneys will not even touch a case unless the evidence presented to them is clear cut and indisputable. This is in-part for economic reasons but also because attorneys have ethical obligations to ensure their clients are not attempting to file frivolous lawsuits. If you can’t find a lawyer to take your case, you should continue to shop around, as many attorneys will take difficult cases if the injury is bad enough to justify the risk. That the Plaintiff was injured by the Defendant’s breach. If the Plaintiff cannot prove that negligence occurred, the case cannot move forward. Cases in which the Plaintiff’s version of events differs from the expected witness testimony or the documentary evidence will often be difficult to win. There are three types of costs associated with bringing lawsuits. First, there are court costs. While courts are taxpayer-funded government entities, they are not free for the public to use. Filing a lawsuit requires the Plaintiff to pay a filing fee and the cost of convening a jury can make low-value cases cost-prohibitive to bring outside of small claims court. Second, there are attorneys’ fees. The more complex a case, the longer an attorney will need to spend working on the matter, which means that complex cases with low damages amounts are not economically viable for attorneys to take on. Third, there are the costs of litigation. These costs can include the cost of producing evidence, arranging travel for important witnesses, and paying for expert witness testimony. All of these additional costs in large cases can make it very expensive for a smaller law firm to take the case up front. In other words, if the law firm you consult with cannot bear the upfront financial costs of the lawsuit relative to the financial gains, your case may be turned away. If you were injured in New York, you should find a New York personal injury attorney to take your case. Attorneys in other states often cannot practice in the courts of the state where you were injured. A common exception is attorneys who work in the New York City area. Often, New York City attorneys are licensed in both New Jersey and New York (and occasionally Connecticut). This is often a sensitive issue for many people, as a lot of potential Plaintiffs who have real injuries but can’t find an attorney become cynical and think their attorneys do not believe them. If you have a legitimate legal claim, the best way to find an attorney is to simply tell your story as you remember it. You do not need to embellish your story or exaggerate the chain of events. If an attorney you are consulting with about your case realizes that you have either lied or exaggerated, he or she will begin to doubt the validity of your case as a whole. There is a law in every state known as the statute of limitations. The statute of limitations is the deadline within which you must file a lawsuit or you lose your legal claim. In New York, you must file your lawsuit within two years from the date that you should have known you suffered an injury. While there are exceptions to the statute of limitations, most cases do not trigger those exceptions. This is why it is so important to consult with an attorney as soon as possible after an accident. At the end of the day, a lawyer can choose whether or not to take you on as a client. The number of reasons that an attorney is legally allowed to turn you away are infinite. For example, maybe an attorney thought you were annoying or maybe an attorney did not like the shape of your eyes. Most of these other reasons why attorneys might turn you away are bad reasons and not based in logic. As a result, being turned away should not immediately signal to you that you do not have a legal claim. 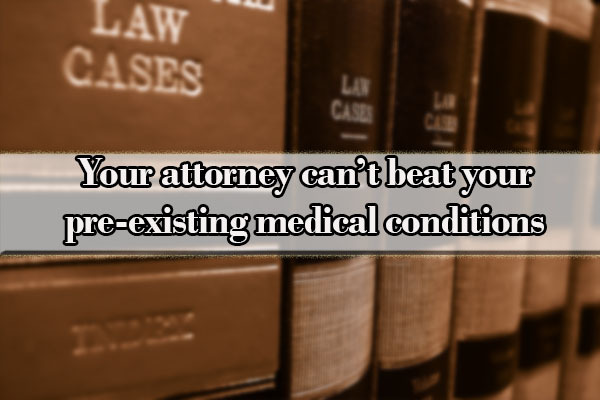 Instead, you should continue to search for an attorney that is right for you. If you have been the victim of an accident, do not be discouraged if you have not been able to find an attorney yet. Keep searching. Just because one lawyer wouldn’t take your case does not mean that your claim is baseless. 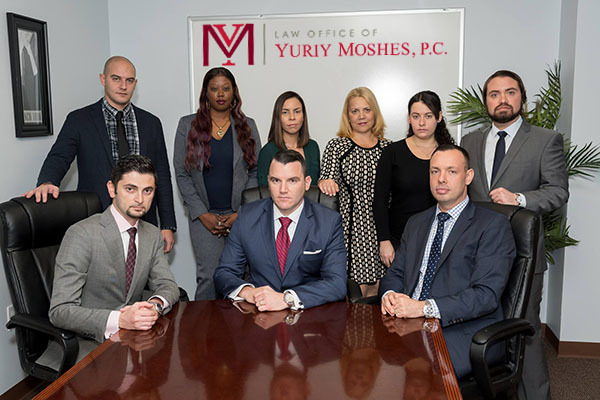 Call the Law Office of Yuriy Moshes, P.C., for a free consultation on the availability of a claim. We help victims of accidents in all five New York City boroughs (Brooklyn, Manhattan, Queens, Staten Island, and the Bronx), northern New Jersey, Long Island, and upstate New York.